UPDATE: The Samsung event is now over. Two handsets were launched: the Galaxy A70 and the Galaxy A80. The Samsung Galaxy A80 has an incredible camera system worthy of the Note 10. You can watch the event in the embedded video below. Samsung will hold its next smartphone announcement today, Wednesday April 10, in a series of exclusive events in Bangkok, São Paulo and Milan. We're expecting to see a new entry into the mid-range Galaxy A series, which sits below the flagship S10e, S10 and S10 Plus in Samsung's Galaxy smartphone portfolio. Tipped to be called Galaxy A90, the new Samsung handset is tipped to ship with an all-screen 6.7-inch Full HD+ design. Yup, unlike the Galaxy S10 series, there'll be no hole-punch for the selfie camera, and no iPhone XS-style notch – just all-screen, with a small pop-up drawer for the camera. According to the latest whispers, the A90 will also boast a 3,700mAh battery, and there may also be two more new handsets in the A range announced at the event. 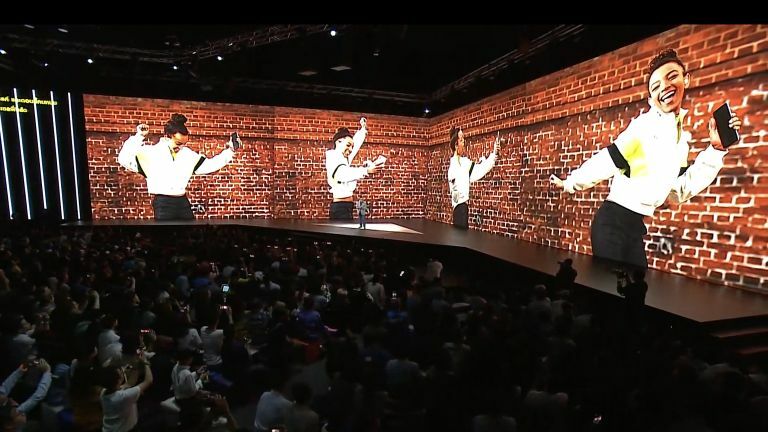 Those who are looking forward to the next Galaxy Note handset, which is set to launch later this year, should also pay close attention to the keynote presentation today, as we're expecting to get our first clue about one of the Note 10's most anticipated new features. Known as "A Galaxy Event", Samsung will be streaming the event online for anyone who can't attend in Thailand, Brazil or Italy. The live stream will be available to watch on its website. You can also tune in on the @SamsungMobile Twitter profile and the @SamsungMobile Instagram page. Proceedings kick-off at 1pm BST – that's 5am PST and 8am EST. Naturally, T3 will have all the latest news as soon as it's announced on-stage, so stay tuned.